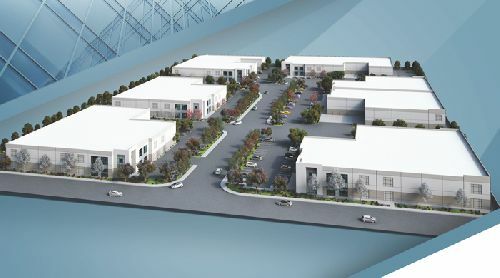 In development news out of the San Gabriel Valley, Dedeaux Properties has broken ground on Echelon Business Park, a 246.5k sf industrial project in the City of Industry. Construction is expected to be complete in the first quarter of 2018. Located at 801 – 821 Echelon Ct, the $38 mil development will offer easy access to I-10, I-605 and the 60 and 57 Freeways. Echelon Business Park’s seven free-standing buildings will range between 27.4k sf and 43.2k sf, and will include two-story office space, ample dock-height loading and configurations for loading shipping containers, all inside a modern, secured campus with pride of ownership design and image. “With a lack of infill land to build modern warehouses, coupled with strong demand from a vibrant regional economy with access to the largest ports in the country, there is a near-chronic shortage of product for the small- or mid-sized industrial tenant or buyer,” said Brett Dedeaux, President at Dedeaux Properties. Many start-up enterprises—restaurant-supply shops, tech entrepreneurs, smaller importers-exporters, custom-furniture makers and others — require spaces under 50k sf, or even less. In 2015, the latest year for which figures are available there were 430,948 business enterprises in Los Angeles County, but only 5,390 had more than 100 employees, according to a report by the California Employee Development Department. Moreover, much of the existing smaller warehouse space in Southern California is older stock, lacking the amenities of minimum 24-foot-high ceilings, ample truck turning radius, adequate electric power, dock-height loading, or sprinklering, according to Sandoval. With the economy growing again and such a tight market segment, these new state-of-the-art industrial buildings will draw a premium in value. Overall, median prices hit record high pricing in Q1 2017 in Los Angeles County, up 57.8% from 2010, reports DAUM. Ben Horning, Director of Development at Dedeaux Properties, points out that developing medium-size warehouse units is more expensive on a per-square-foot basis than developing larger product, but the demand is certainly there to justify the effort.